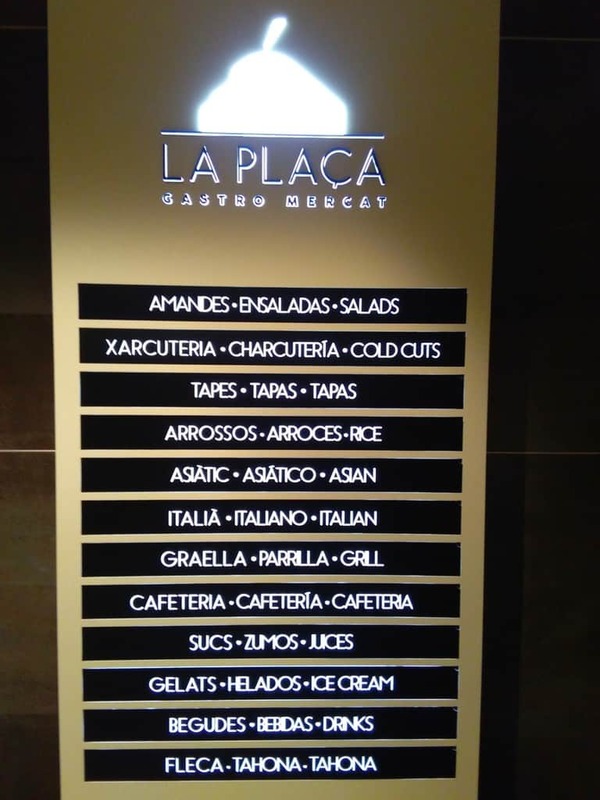 El Corte Ingles has needed to update their top-story restaurant for awhile. 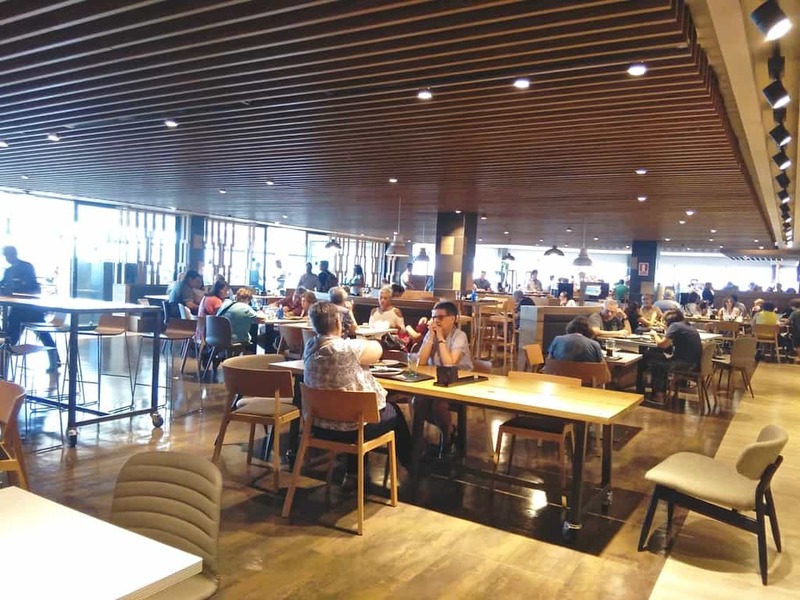 Even though it matched most El Corte Ingles cafeterias all around Spain, which was boringly just called “La Cafeteria”, The department store’s Plaça Catalunya location decided to up its game on the design and concept. After all, it IS in Barcelona. The design is a common trend that I see in Spanish shops like Zara, Mango, El Mercat in Les Glories. 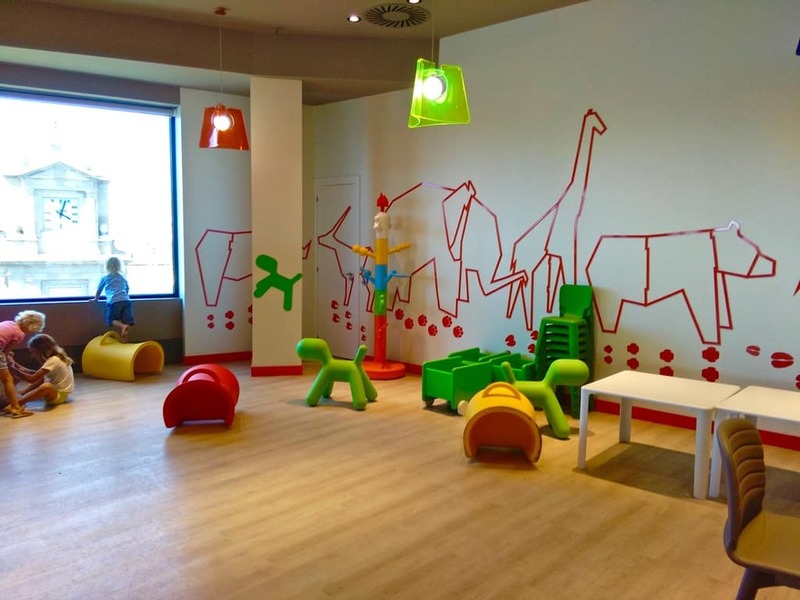 If I knew more about interior design, I’d say that dark walls and ceilings with overhead lighting is a Spanish trend. Not a lot of light, but still pleasing to the eye. 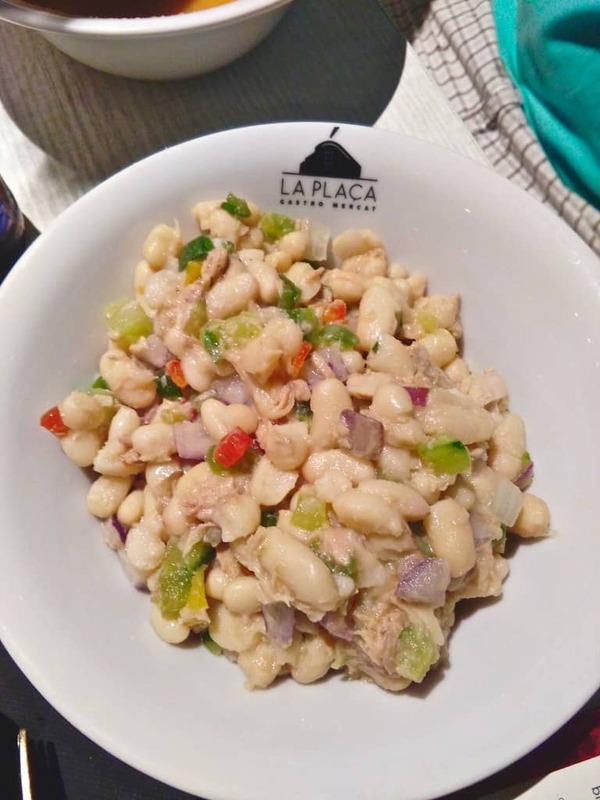 La Plaça Gastro Mercat opened this summer and is a central place if you want to get a fantastic view of the city and pretty good food. 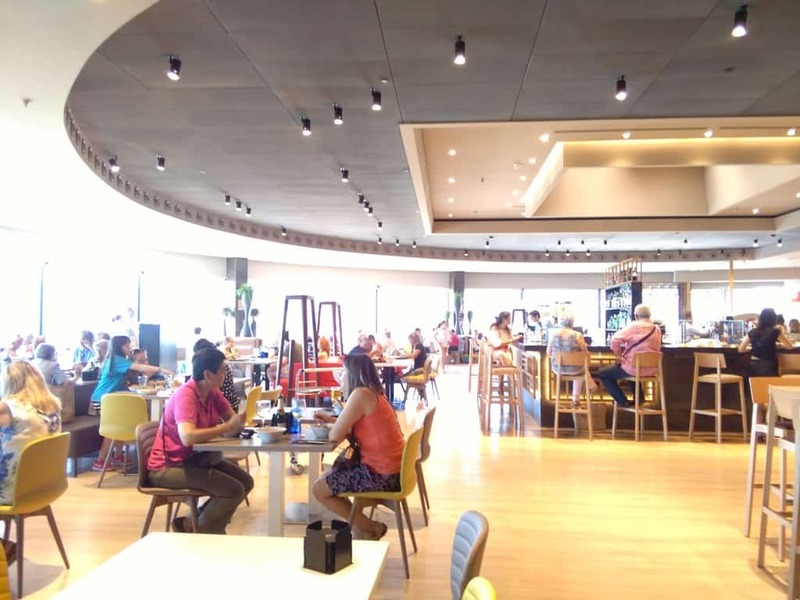 It’s got a wide selection of foods, including classics like paella, tapas, different rices, and salads — and additional Italian and Asian fare. 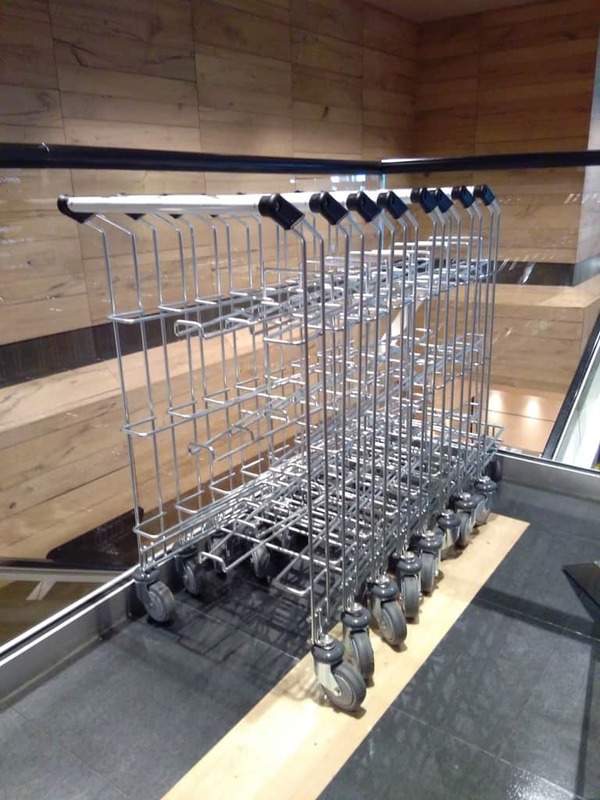 Just like at IKEA, you can grab a multi-tray cart and stack three trays conveniently on top of each other. 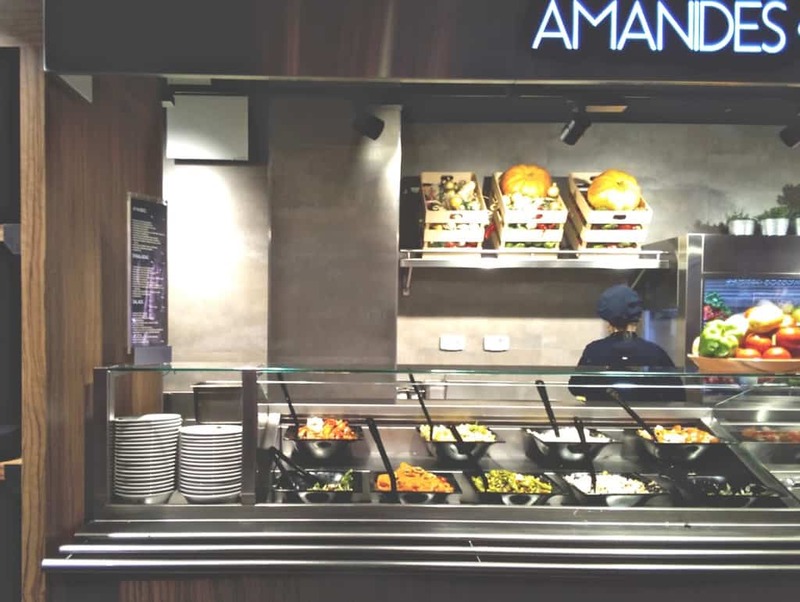 You go ahead and grab a tray, then slide it over as you browse the food sections – as most cafeterias work. I opted for the tasty mongetes, or white beans. 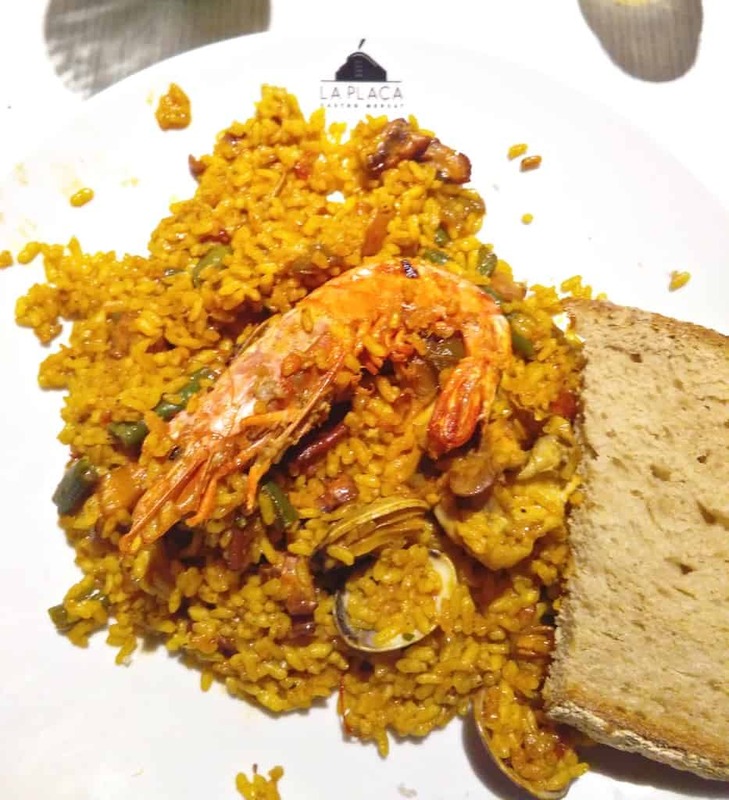 And also, the paella de mariscos (seafood paella), which honestly was pretty delicious too. 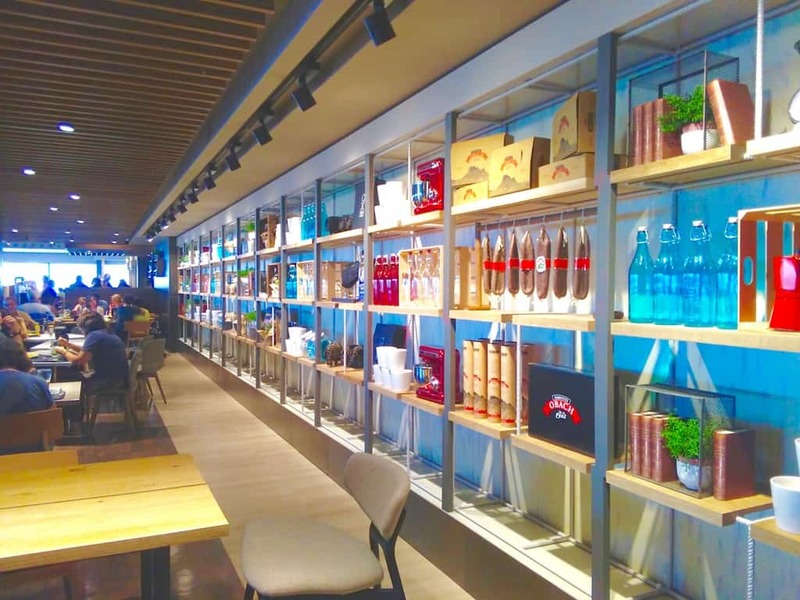 While the Gastro Mercat is a cafeteria-style setting, it also has more goodies on the dining area. 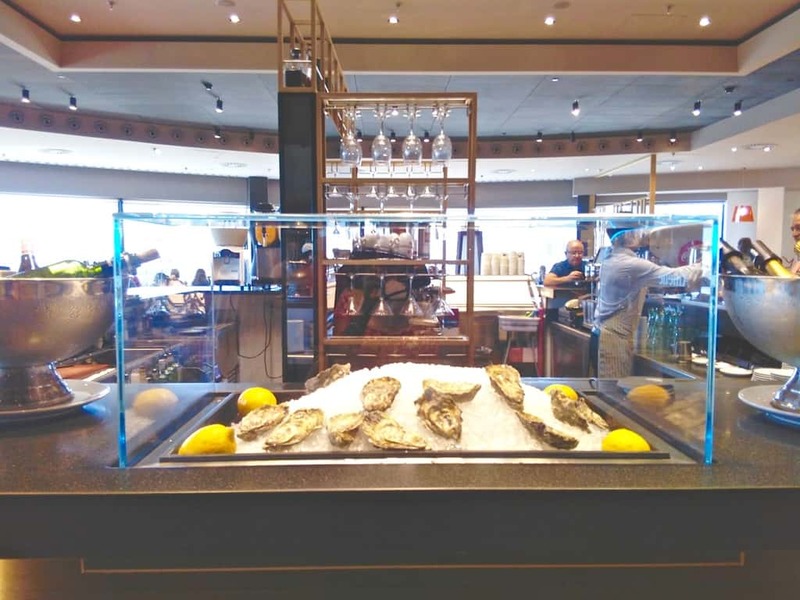 It’s got a wine and oyster bar, and even an ice cream area for some after-meal sweets. 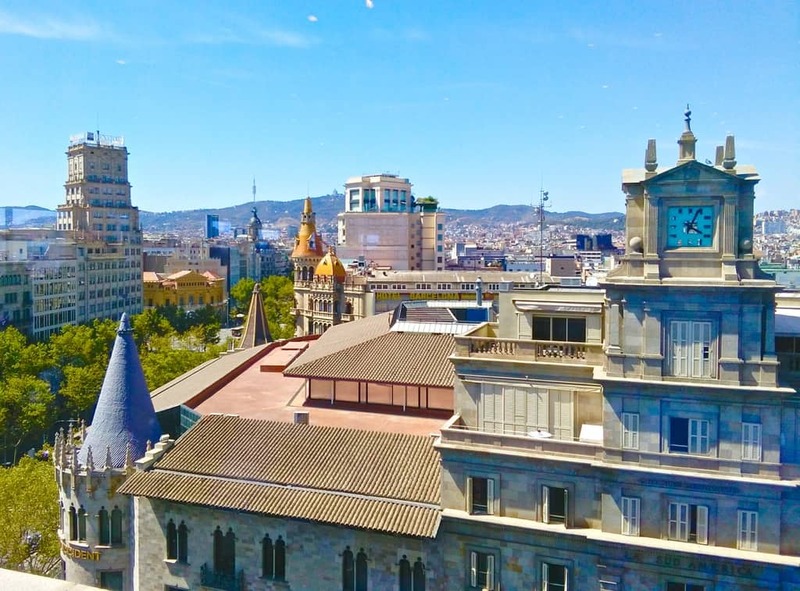 The restaurant area conserved its 240º panoramic view of Barcelona, where you can get an eyeful of the Sagrada Familia and Tibidabo far off into the distance. It’s got a contemporary display area on one side – nothing for sale, just a few pretty things to add to the decor. 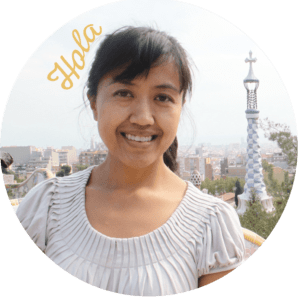 Have you checked out the new La Plaça?